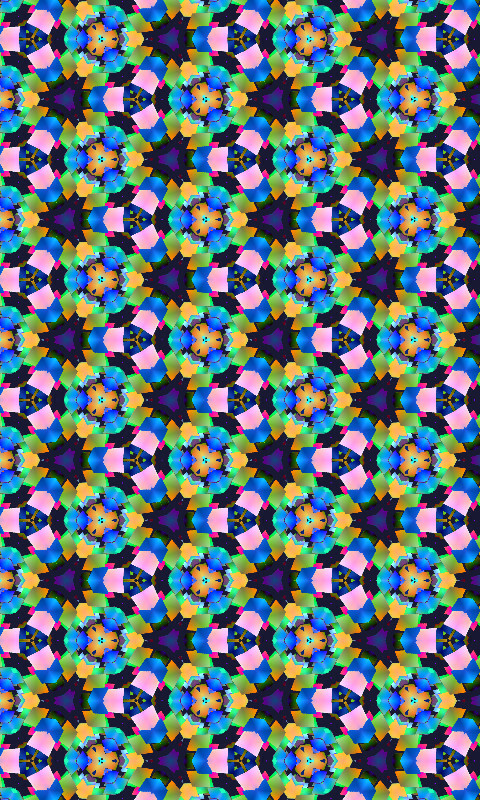 A simple application to draw kaleidoscope pictures. The source image is rendered using a heap of small 3D shapes in virtual 3D space. You can stop the animation, and then touch-drag or tilt/shake your device to shuffle the heap of colored shapes manually.